Meatloaf Florentine, Thyme for Cooking gourmet recipes. 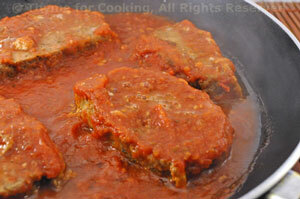 Heat tomato sauce in a large skillet. Add meat loaf slices, cover and gently heat through. 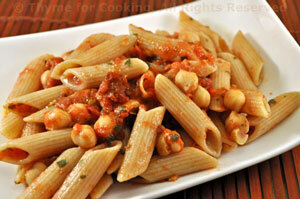 With canned chickpeas and tomatoes, this is a simple, pantry pasta that goes together quickly. Drain tomatoes, reserving juice for another use. Roughly chop. When pasta is almost cooked, heat oil, tomatoes, herbs, chili powder and chickpeas in a medium skillet. When hot and starting to simmer, add vinegar, drained pasta, toss well and serve.